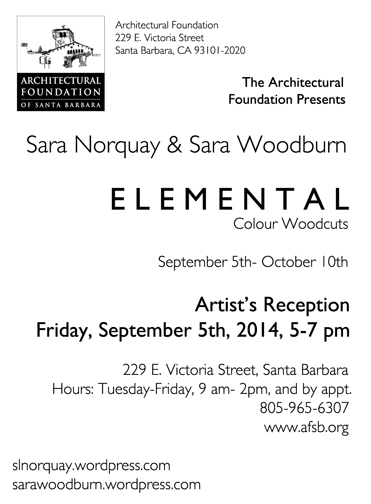 I will be showing my latest woodcuts at the Architectural Foundation Gallery of Santa Barbara which will open Friday Sept. 5th and run until Friday October 10th. Sara Norquay’s beautiful woodcuts will share the space with mine. Eight of our woodcuts are a result of a call and response series we did on the theme of change in nature. 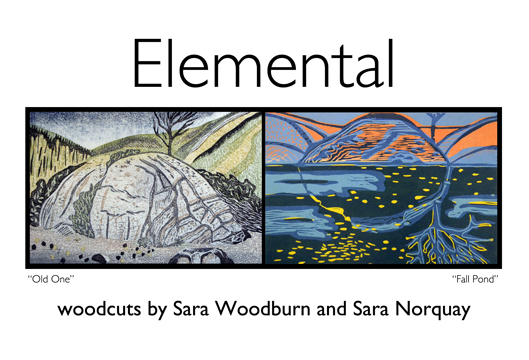 Our woodcuts show the elements of air, water, earth, and fire, and places in nature where we observe seasonal changes.